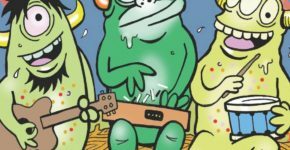 Big Ol’ Dirty Bucket has taken the New England music scene by storm since their debut in 2009. The 10 piece funk ensemble has redefined the sound of classic funk, by slathering it together with a substantial slice of hip-hop, blending it with flavors of jazz, blues, soul, and frosting the top with rock n’ roll. Hailing from Boston, Big Ol’ Dirty Bucket is led by the triple-threat of velvet-voiced front-woman Kobi, emcee Micah Casey (a.k.a. “Big Daddy Disco”), and guitar slinger/vocalist Ryan Green (a.k.a “Funk McNasty”). The ferocious and relentless groove of the bands all-original funk music is driven by the the thunderous rhythm section of drummer Dave Share, bassist Joe Cesarz, and percussionist Jim Schunneman. The groups hard-hitting pocket sound is rounded out by Keyboard extraordinaire Scotty King, and a horn section featuring saxophonist Matt Oliphant, and Trombone player Rich Houghton. 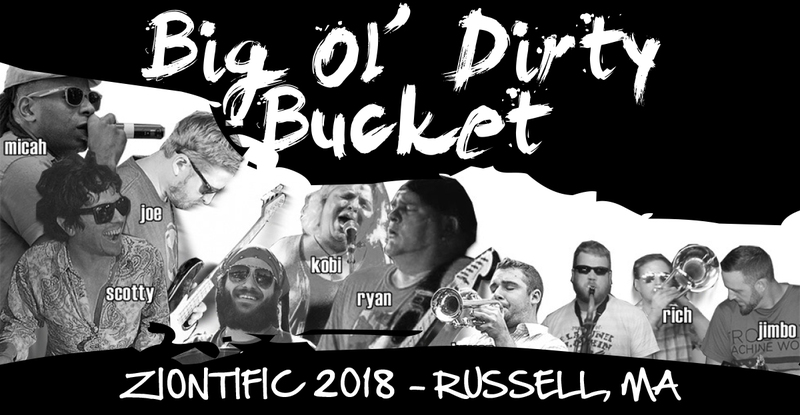 Big Ol’ Dirty Bucket have toured throughout New England and the Tri-State area, and have appeared with artists such as George Clinton, Onyx, The 420 Funk mob, Tracy Bonham, Steve Kimock, The Rustic Overtones, The Everyone Orchestra (featuring members of Moe. ), and have worked with artists such as Galactic, Norwood Fisher (Fishbone), and Mike “Kidd Funkadelic” Hampton (Original P-Funk). Their single “You make me feel (like dancin’)”, which was released on the band’s self-titled debut album, was named one of the top 100 songs of 2012 by The Boston Globe. ‘Bucket Express’, their sophomore studio effort, which featured in-studio collaborations with members of P-Funk, Galactic, and Fishbone, was named #4 on Funkatopia’s list of the Top 20 Funk Albums of 2014.